Joe Gomez can’t catch a break, can he? The teenager just returned from nine months out with an ACL problem, and just as he was set to start training fully, injury has struck once more. This time it’s his achilles, and will keep him out of the remainder of pre-season and the beginning of the new campaign. There are huge hopes for Gomez, but these issues can only damage his chance of progression. Gutted for @J_Gomez97. Another crushing set back but eventually when fit he’ll have a big future at #LFC for sure. Such bad luck. 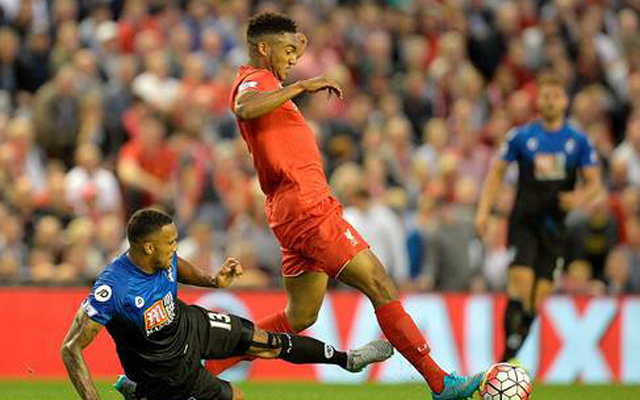 Shocked and gutted for Joe Gomez who has a new injury setback. He has been working hard ever since the beginning of last season with an ACL.